A-Tech Hydraulics, Inc. - Who we are? A-Tech Hydraulics was formed in 2001. Ron Forster, the owner and founder is a 22 year veteran in the Hydraulics business. 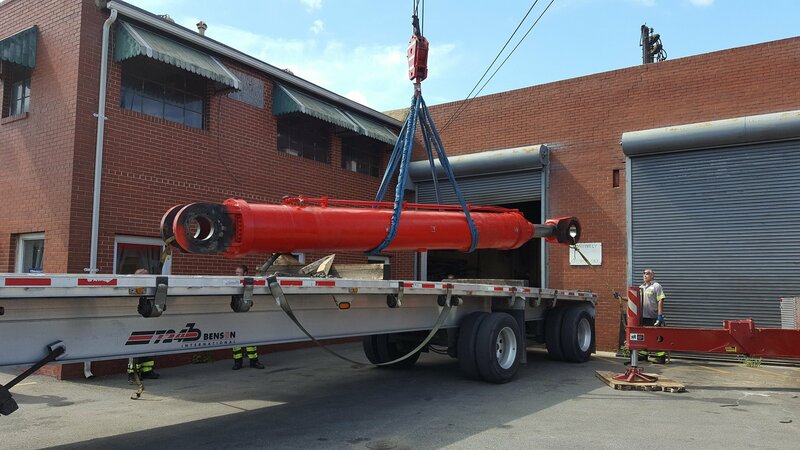 While working in the industry, he realized the need for professional on-site hydraulic service. He started the business by purchasing a service truck and worked out of his home garage. A-Tech specialized in industrial and marine hydraulic repairs. After receiving a large contract from the Navy for repairing 900 cylinders, he realized that the small garage would not handle the volume. A-Tech was moved to Sparrows Point Maryland in a large facility. This location is close to the steel mills, ports and industrial areas of Baltimore. In addition to specializing in Industrial and Marine hydraulic repairs, A-Tech has added industrial lubrication systems to their line of products and services, which include but are not limited to: cylinder repair and testing, hydraulic and lubrication system design and installation, power unit manufacturing, hose assemblies and hydraulic system maintenance. Since its conception, A-Tech has performed repairs around the world, from Malta to South America and all points in between. A-Tech continues to perform On-Site hydraulic repairs on all types of hydraulic and lubrication systems.